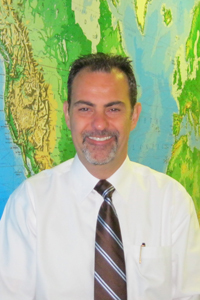 CIRCOR Aerospace is pleased to announce the addition of Kevin Pizzarello to the business development team. As the Director for Sales, Kevin’s role will focus on the growth of the fluid products market segment and expand product offerings to include value-added, sub-system, and multi-component capabilities. He will lead the processes to support CIRCOR’s expanding customer base with a key focus on customer relationship building, communication and responsiveness. Kevin has made the transition from Parker Aerospace, Fluid Systems Division where he was the Business Development Manager for Pneumatic, Lube Oil and Fuel Specialty products. He expanded the organizations offering and led program wins for the Pratt Whitney Geared Turbo Fan Engine and Rolls-Royce ADVENT engine programs. Further, he led the division’s first multi-component lube oil package in support of the Sikorsky CH53K Heavy Lift Replacement helicopter for the US Marine Corp. During his tenure at Parker, Kevin also provided fuel specialty hardware for various market segments including: Boeing UCAV; Boeing CV-22; Bombardier CL605 and RJ 1000; General Atomics Predator B; Gulfstream G250, G650; Honda Jet and Korean T-50 programs. Kevin has 20 years sales and engineering experience, previously holding positions in business development management and engineering management at AMETEK, Pall Aeropower and Honeywell. Kevin holds a Bachelors of Science degree in Mechanical Engineering from the U.S. Air Force Academy and an MBA from Barry University. Kevin is six-sigma green belt certified and is licensed as registered Professional Engineer. “We are very excited to have Kevin on the CIRCOR Aerospace BD leadership team and have him build upon our 60 year legacy of top quality fluid control products,” commented Michael Dill, CIRCOR Aerospace Products Group Vice President of Business Development and Strategy. The CIRCOR Aerospace Products Group is focused on the design, development, and manufacture of specialty fluidic control, actuation, and aircraft landing gear systems for demanding aerospace and defense applications. CIRCOR Aerospace provides a full range of fluid controls and electro-mechanical controls, actuation systems, manifold assemblies, and complete landing gear systems. CIRCOR Aerospace has business units located in California, Ohio, New York, Paris, Chemille and Pau, France, Tangier, Morocco and Suzhou, China. CIRCOR International is headquartered in Burlington, Massachusetts and the CIRCOR Aerospace Products Group is headquartered in Corona, California. Jackie Osborne, CIRCOR Aerospace, Inc.